Made from stunning Western Red Cedar, the Amhurst shutter range is hand crafted to highlight the intrinsic properties of this unique timber. Available in 18 painted colours and two lacquered natural wood tones, the Amhurst shutter will add a touch of warmth and richness to any decor. In addition to the standard colour range, the Amhurst shutter can also be custom painted in any colour from the Dulux Series 2 Specifier. 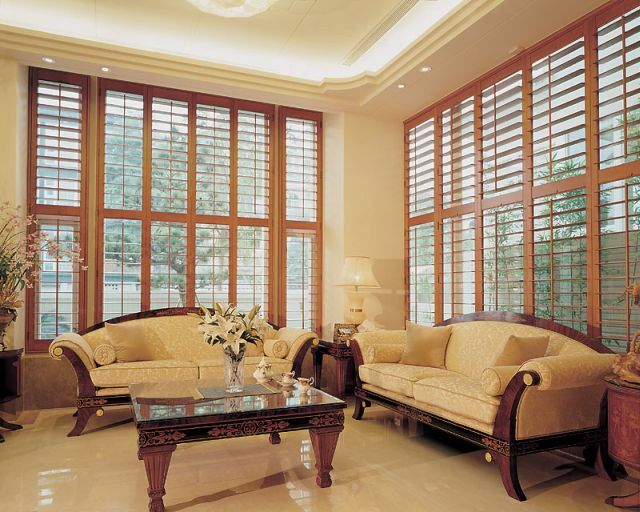 Lightweight by nature and with a distinctive wood grain pattern, the Amhurst shutter brings the beauty and warmth of nature indoors. Speciality shapes are available as well as the option of solid raised panel and louvre combinations . The Amhurst shutter is available in 63mm, 89 mm and 114mm louvre widths.